Amazon.com Price: $13.99 $12.68 (as of 14/04/2019 12:23 PST- Details)	& FREE Shipping. Insightful questions, biblical teachings to counter lies, and stories of rebuilt marriages lead you to God’s healing and the hope of helping others from the place you once had deep pain. Cindy Beall provides undeniable proof that God is a Redeemer regardless of how messy, difficult, or painful our current relationships are. I’m a massive Cindy Beall fan. 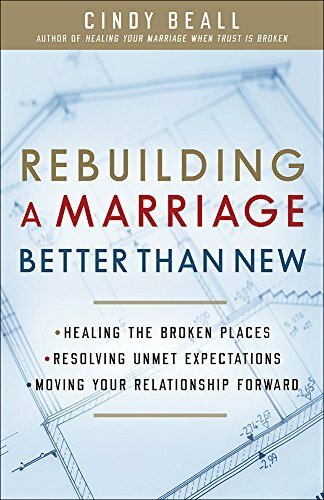 If your relationship needs a tune-up or a complete overhaul, read this book with an open heart and I believe God will do a new work in you.